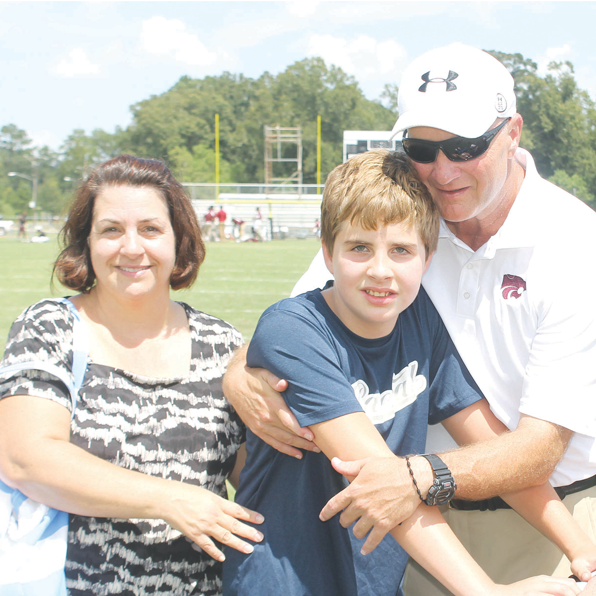 CENTRAL — Central High head football coach Sid Edwards was honored recently as a Louisiana Sports Legend, the only high school coach ever to receive the honor. Two years ago, he was named Louisiana’s 5A Coach of the Year. Ironically, this is a coach who rarely talks about football — even to his players. He talks to them about things like character, hard work, God, home, family, and service to the community. Central football players are required to be part of a group Coach Sid calls Men for Others. Throughout the year but especially in the summer, Central football players are found picking up trash on Central’s roads or painting an elderly person’s house or doing any other job that needs doing. Coach Sid coached at Catholic High, Redemptorist, and Jesuit before coming to Central. At Redemptorist, he coached the Wolves to State Championships in both football and basketball in the same year — a unique feat in Louisiana coaching annals. `Having grown up in North Baton Rouge, Coach Sid has a passion for the handicapped and those in need. He and his wife Beanie, who also teaches in the Central school system, have four children. Two of them suffer from autism and require constant care and supervision. Their son Jack Ryan is especially challenging, and the Edwards household is usually chaotic. There is no time to rest and little time to sleep.